Hey, Alexa, what time is it? Alexa, turn on the lights. Alexa, how do you bake crumble cake? Many people talk to their Echo speakers quite often. 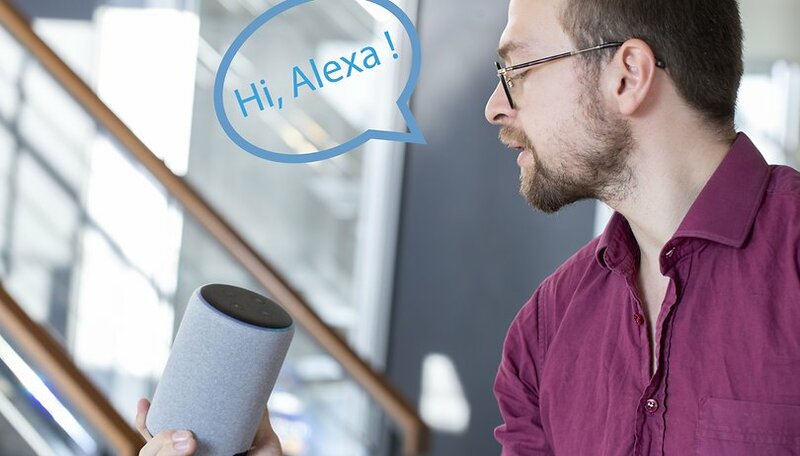 Most people do not know that Amazon employs people to listen to and evaluate these voice commands and sentences, which are repeatedly recorded by mistake. "For example, we use your commands to Alexa to train our speech recognition and natural language comprehension systems," it says in the questions and answers section on an Amazon page. But Amazon does not reveal that people and not only computers are used here. In the settings of Alexa, you can contradict this use of the recordings for the further development of the service. What is reassuring is that Amazon does not store complete names, addresses or customer numbers for the recordings. However, the account number, first name and a serial number of the terminal device are linked to the recordings and can be viewed by the employees. Most of the Echo devices can be assigned to real people. Bloomberg's report also talks about an internal chat system that allows employees to send themselves notes back and forth when the content is unclear - or when they find something funny or embarrassing. Why doesn't Amazon falsify the recordings? Let one thing be clear: even with Google and Apple, the language assistants are not trained completely automatically. But at least everything is completely anonymized and processed without any names or customer numbers. Google even goes so far as to automatically distort the audio recordings before a human employee hears them. This makes the assignment to a real person impossible. Amazon could do that, too, especially since the assignment to the first name and the customer number should only have a dubious benefit when training speech recognition anyway. In many households, Alexa is used by more than one person, and if all speakers are assigned to the same combination of number and name, this tends to falsify the results. Language assistants must listen in order to learn. The bottom line is that it's questionable how important the problem with Alexa's voice recordings really is. Amazon emphasizes that only a fraction of the recorded audio is tapped by employees. In the Alexa app you can also control and listen to what Alexa has recorded. I still have a bland aftertaste about it, and I'm thinking about switching off the Echoes in my house and offering Google Assistant a place in my living room. But it has to listen, too. What do you think, is Amazon overstepping the boundaries here, or is it all still within what is acceptable?